Welcome to the 2012 MSPmentor 250, a list of the top managed services provider (MSP) experts, entrepreneurs and executives. The MSPmentor 250 helps you to rapidly build a Rolodex of MSP leaders from across the globe. Now, onto the list. Founding partner Eckel helped to establish Appnuity in 1999. He was instrumental in the merger between Appnuity and enVista in 2011 and has been the driving factor of hosting components of Microsoft Dynamics AX. Eiseman founded Lloyd Group in 1995. Under his direction, Lloyd Group has garnered distinguished honors such as inclusion to the Inc. 500 list of America’s Fastest Growing Companies for 2001, 2002 and 2003. He is A+, MCP, MCP+I and MCSE certified and earned a B.S. in Accounting from Adelphi University. Married, with two children, Eiseman lives outside of Princeton, N.J.
David Eisner, President and CEO, Dataprise Inc.
Eisner launched Dataprise’s managed services business in 1997, and he continues to oversee the company’s strategic vision and development. Under his leadership, Dataprise has grown approximately 20 percent per year and now has over 600 customers under management. Dataprise is one of the leading MSP’s in the mid-atlantic area. Embury co-founded P&L Technology in 2004 with a partner as a pure MSP Company that focuses on the SMB market in eastern Nebraska. The company is headquartered in Omaha, Neb with a satellite office in Lincoln, Neb. The company made the Inc. 5000 list in 2011 with a 70 percent three-year growth rate and has grown another 30 percent since receiving that award. The company now has 30 employees and is still growing quickly. Dana Epp, CEO, Scorpion Software Corp.
Epp considers himself a virtual CSO to MSPs. Through Scorpion Software, he has helped thousands of IT service providers to address risk mitigation for end-customers. Epp offers education through webisodic series like www.crackthecred.tv and www.beyondthedata.tv. Scorpion Software’s AuthAnvil Password Solutions are the underpinning for many of the most successful, and safe, MSPs out there. For just under 10 years at Symantec, Epton has been successful in various UK and European channel focused roles at Symantec, at the start of 2011 Epton took responsibility for the MSP strategy for Symantec in EMEA. He grew the Symantec MSP partner base in EMEA by 300% YOY, and grew related revenues 800%. Eshel has built CTERA into a leading provider of cloud-based storage and data protection services for SMBs. The company is gearing up to work even more closely with MSPs. He previously was CEO of SofaWare Technologies, which was acquired by Check Point Software Technologies. Earlier, Eshel was an officer in an elite technological unit of the Israel Defense Forces, managing various R&D teams and in 2000 won Israel’s prestigious National Defense Award. Lee Evans, Founder, Vital Network Solutions Ltd. 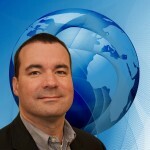 In 2011 Evans was re-elected Vice Chair of CompTIA’s UK Channel Community and he is an active Autotask community member. He has grown his own business more than 30% year on year since formation, and in 2011 became only the second UK-based MSP to be awarded the CompTIA MSP Partners Trustmark. Vital was also recognized during 2011 on a national level as one of the UK’s top 100 apprentice employers.